Summer is just around the corner, and the scorching heat, sweat, and dehydration along with it. You can follow the 8×8 rule of drinking eight 8-ounce glasses of water to stay hydrated, but let’s be real. Plain water can be pretty boring, making you procrastinate to the point of dehydration. Now, if you jazz up your H2O by infusing the flavors of fruits and vegetables, you’ll find that you actually look forward to drinking it. 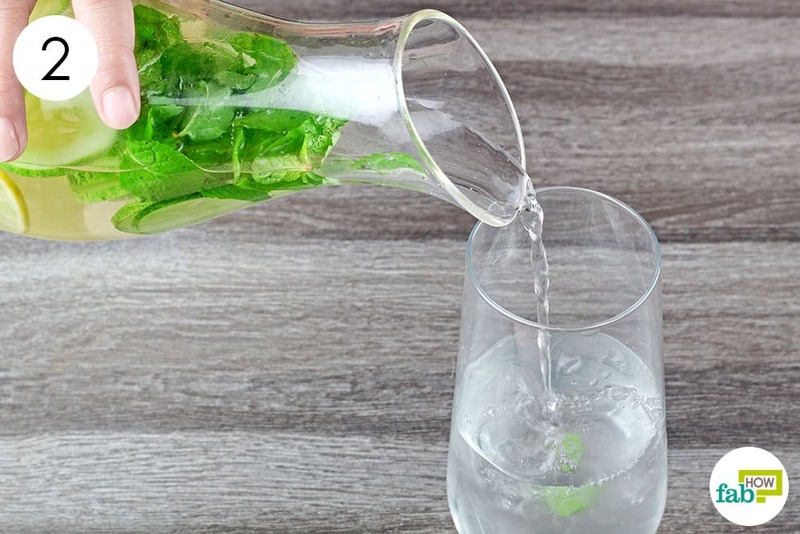 If you buy fancy spa waters, you are in for a treat. 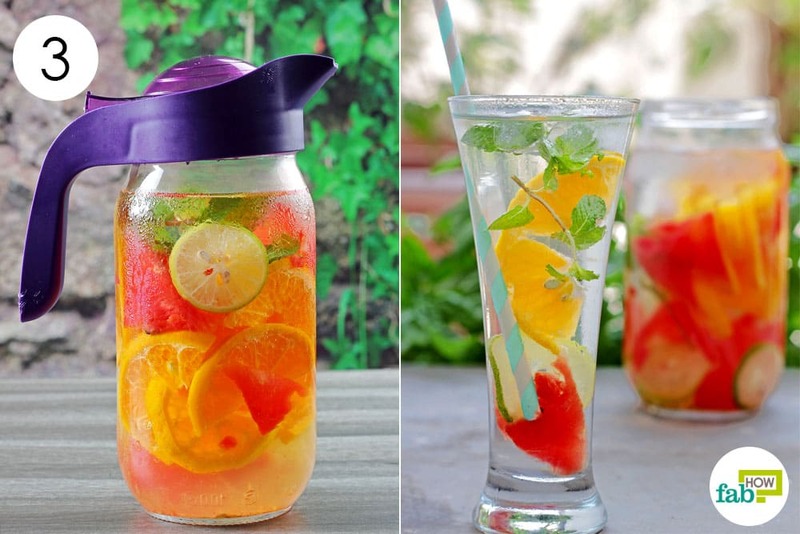 These refreshing flavored waters are super easy to make and look no less than a work of art. 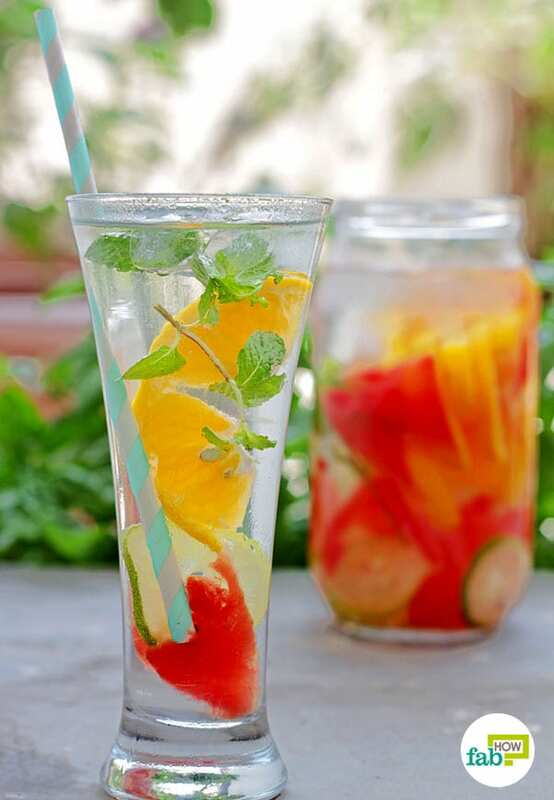 Flavored or fruit-infused water has a subtle, sweet and refreshing taste. 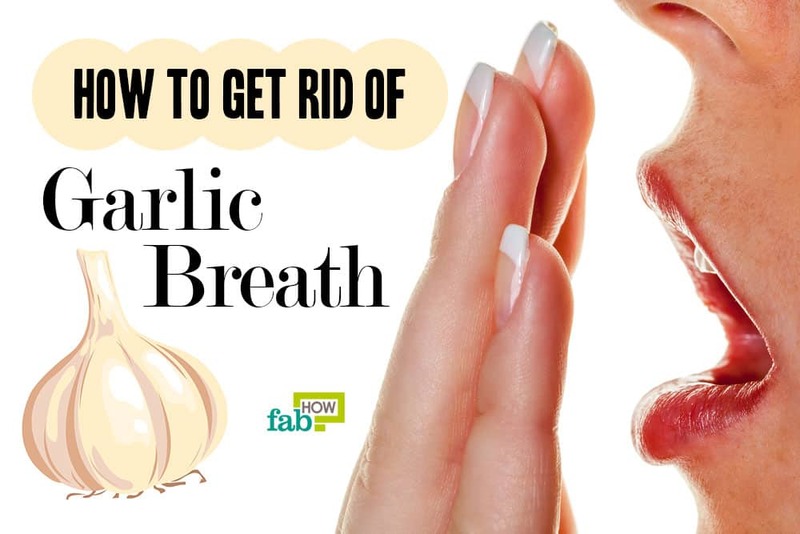 Its cleansing effect on your body is a bonus. Plus, flavored water does not contain excess sugar like fruit juices and sodas, so you can enjoy it daily. 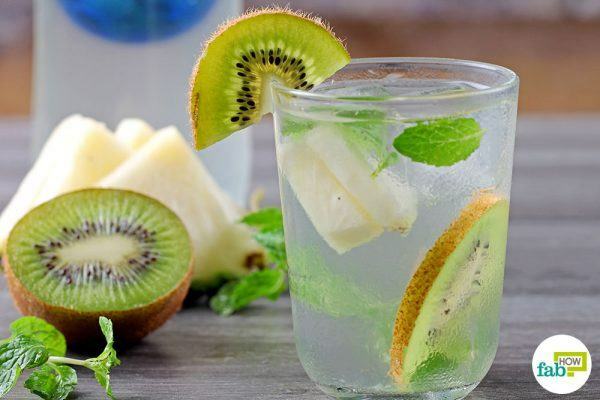 Since there is no hard and fast recipe to prepare flavored water, you can play around with the fruits and herbs of your choice. But be sure they are good and ripe, so you get the maximum sweetness and flavor. You can either add sliced fruit to water or puree the fruit, freeze it and use the iced fruit cubes. 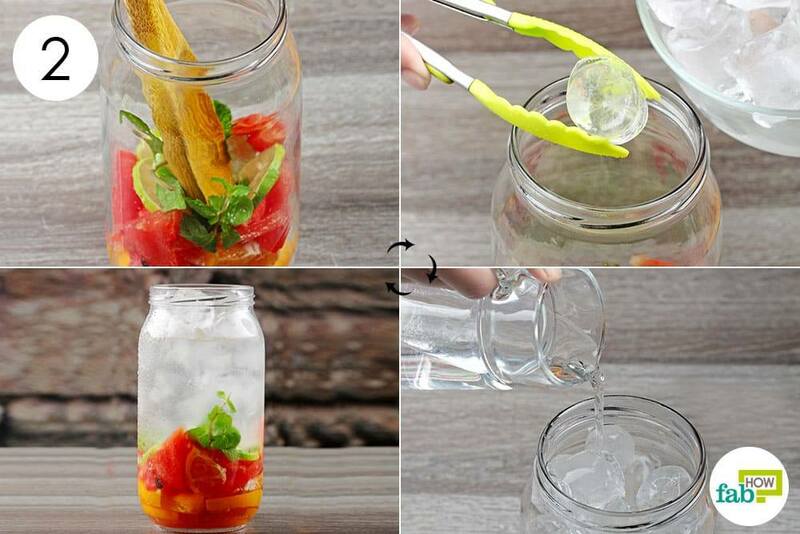 Here are some fun recipes you can try to make flavored water. Flavored water can be stored in a covered glass jar or bottle in the refrigerator and stay fresh for up to 3 days. One of the most classic combinations – lemon, cucumber, and mint – gives a cool and refreshing flavor to the water and also serves as a great weight loss drink. 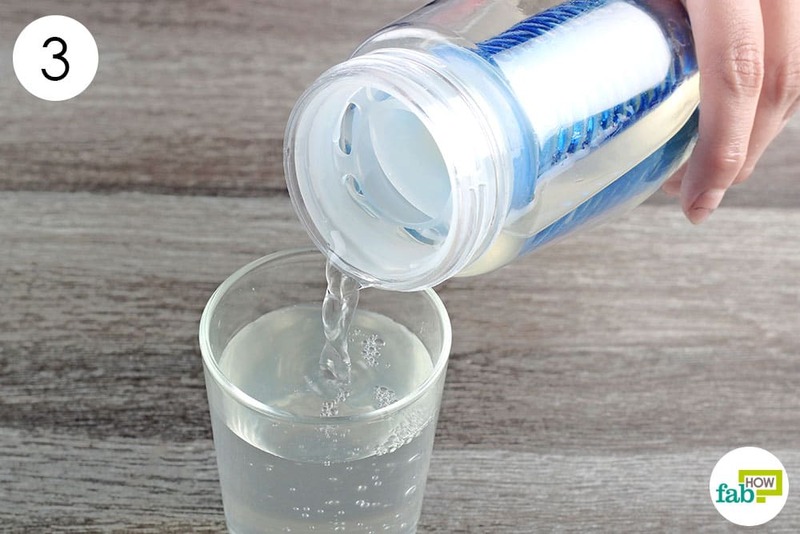 Fill a pitcher with 1 quart of water. 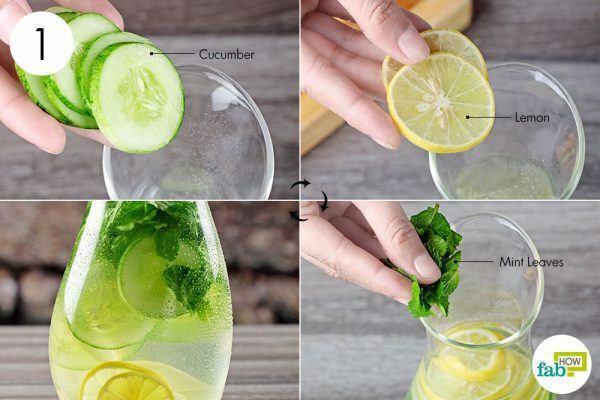 Put some cucumber and lemon slices in the water. Add 8 or 10 mint leaves. You can throw in a whole sprig if you like. Refrigerate the pitcher for a minimum of 4 hours and up to 24 hours. 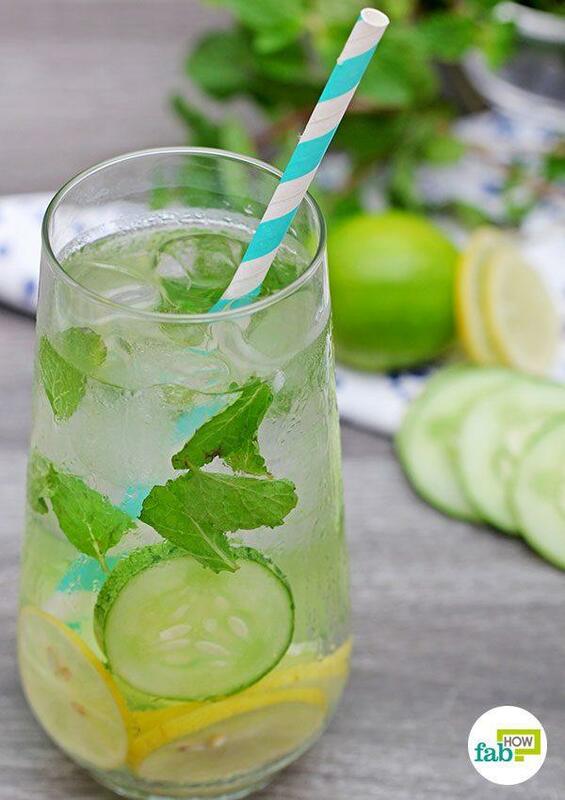 Pour in the infused water and enjoy it chilled. 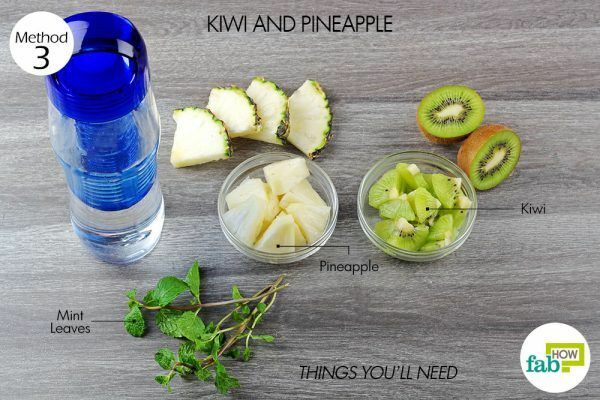 You can also eat the fruits after drinking the water for an extra source of fiber. 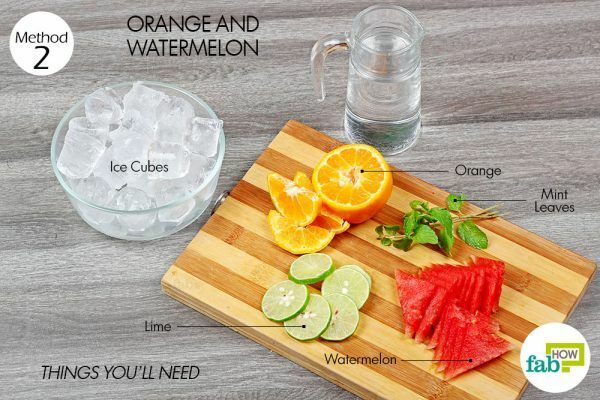 If you want sweeter notes in your flavored water, make it with orange and watermelon slices. You can also slightly press and twist the fruits and herbs with a wooden spoon or a muddler to release more flavors. But don’t overdo it, as it will bruise the herbs and can turn the water bitter. 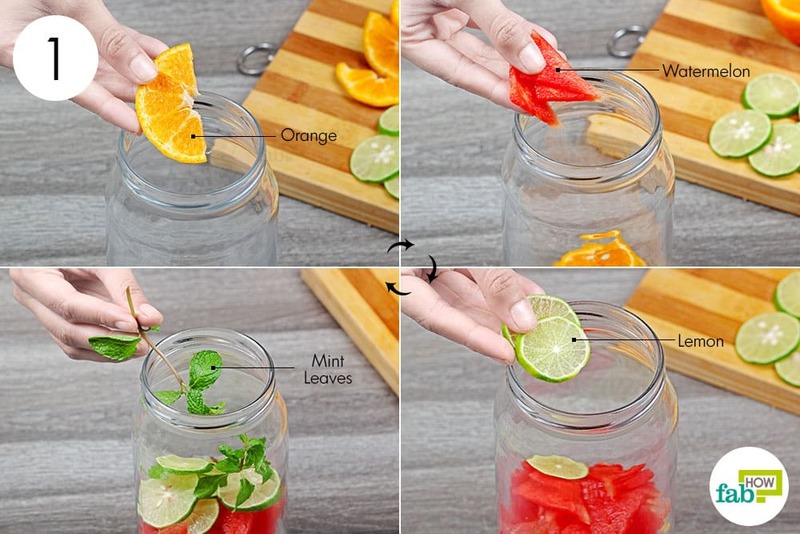 Put the orange, watermelon and lime slices into a jar with a lid. Throw in a mint sprig. You can also separate the leaves from the stem and put them in the jar. Gently press the fruits with a wooden spoon to release the flavors. Throw in 1 cup of ice cubes. Pour water into the jar, filling it up to the brim. Close the lid and refrigerate it overnight. Transfer the infused water to a tall glass and beat the heat with this refreshing drink. 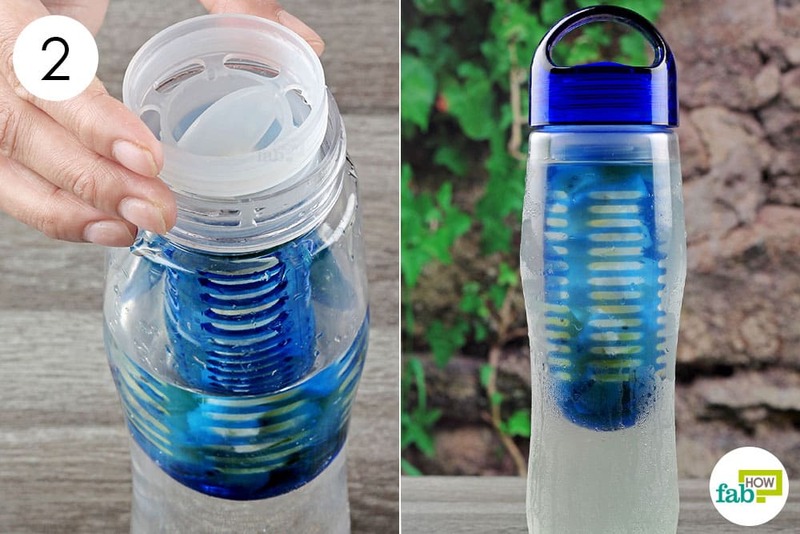 You can replace your regular water bottles with an infuser bottle, making it easy to carry flavored water to your workplace or on an outing. 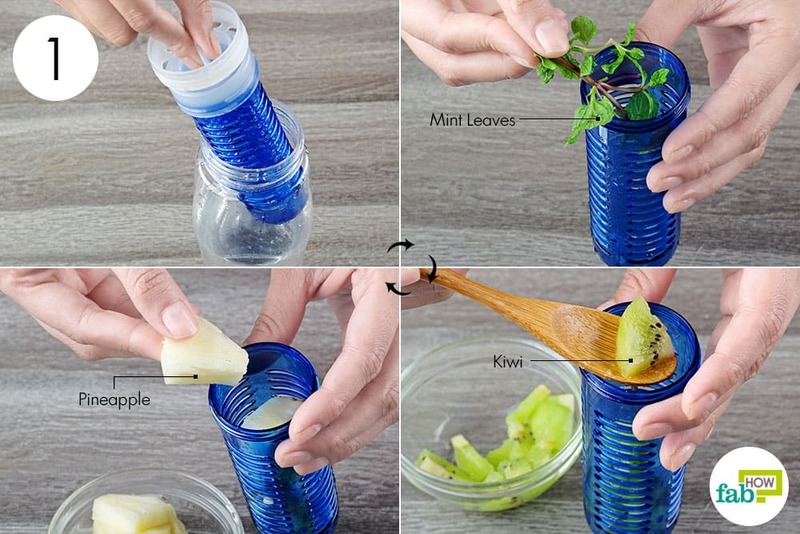 It also makes it easier to remove the leftover fruits from the bottle after you are done with the water. Open the bottle and remove the infuser basket. Remove its lid and place the sliced fruits and mint sprig in it. Put the infuser basket back in the bottle. Refrigerate it overnight and carry it with you the next day. Pour the water into a glass or sip directly from the bottle to enjoy your flavored water. 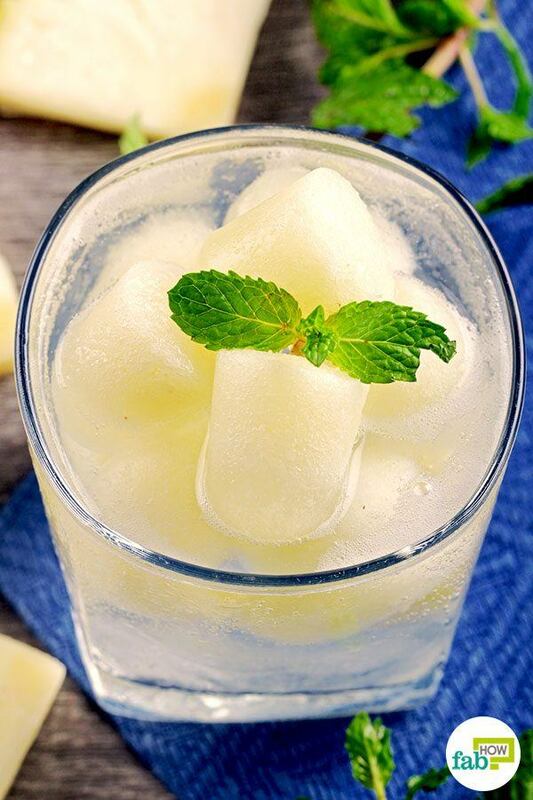 Flavored ice cubes are the best way to stock up your favorite fruit when they are out of season. 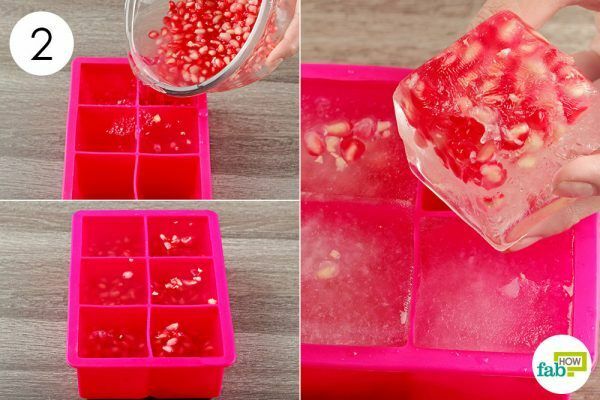 All you need to do is puree the fruit, fill an ice cube tray with it and freeze them. They’ll stay good for 3 to 4 months. 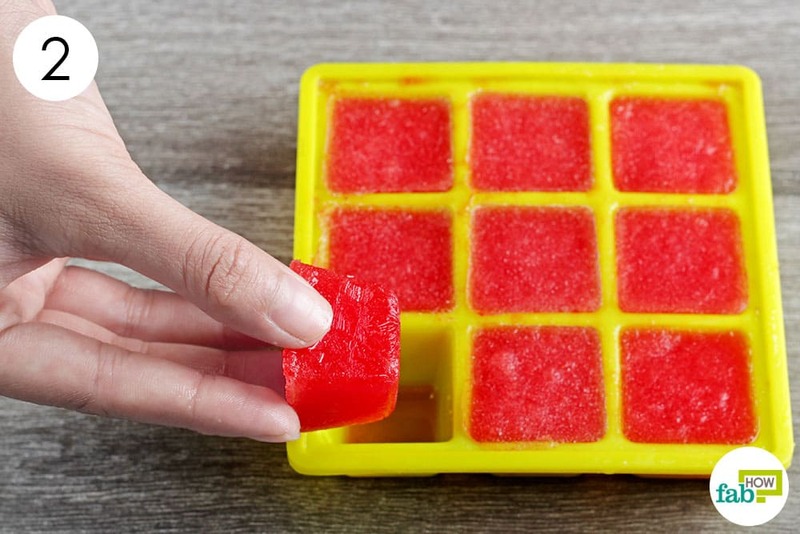 These ice cubes not only enhance the flavor of plain water as they melt, but are also a treat to the eyes when served to others. Watermelon is the most hydrating fruit you can find in the summer. Almost 90 percent of the fruit is water. All you need is a big, ripe watermelon. Chop it into large chunks and deseed them before you puree them. 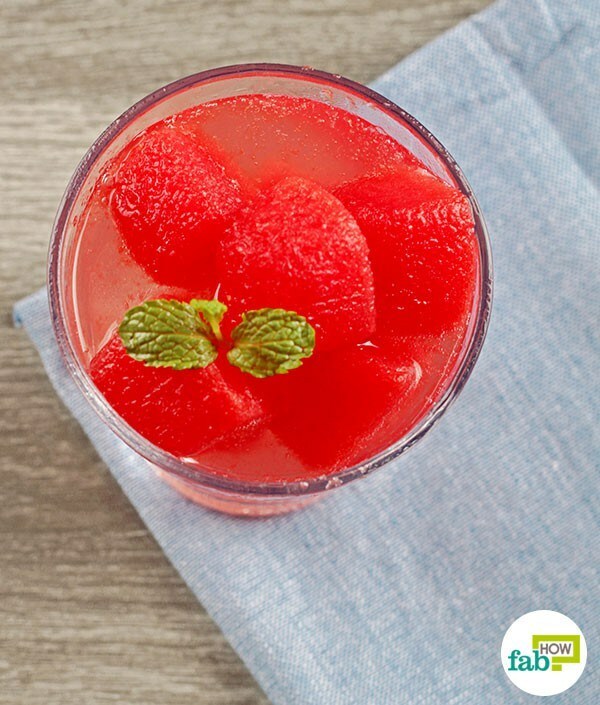 Put 1 cup of sliced and deseeded watermelon chunks in a food processor and blend it for a few seconds. Transfer the pureed watermelon to the ice cube tray. Pop the tray into the freezer. 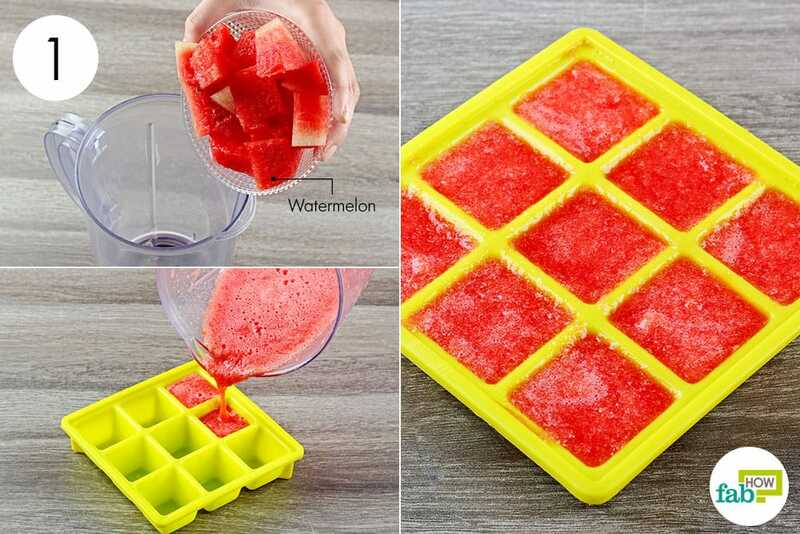 Pop out the frozen cubes from the ice tray. 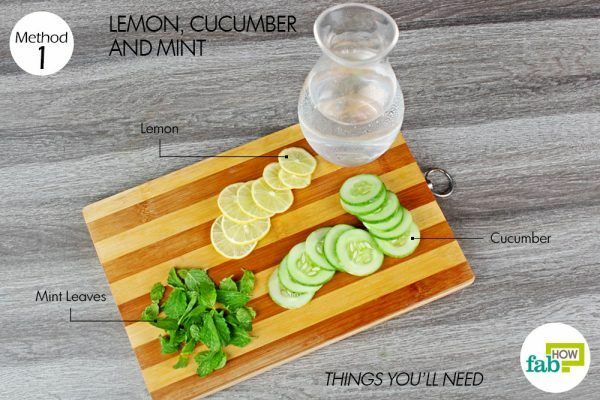 Add them to a glass of chilled water and garnish with mint leaves. Another citrus delight, pineapple is loaded with an enzyme called bromelain. The enzyme serves as a digestive aid (2) and also helps get rid of bloating and gas. So this recipe not only tastes great but also helps relieve digestive discomforts. 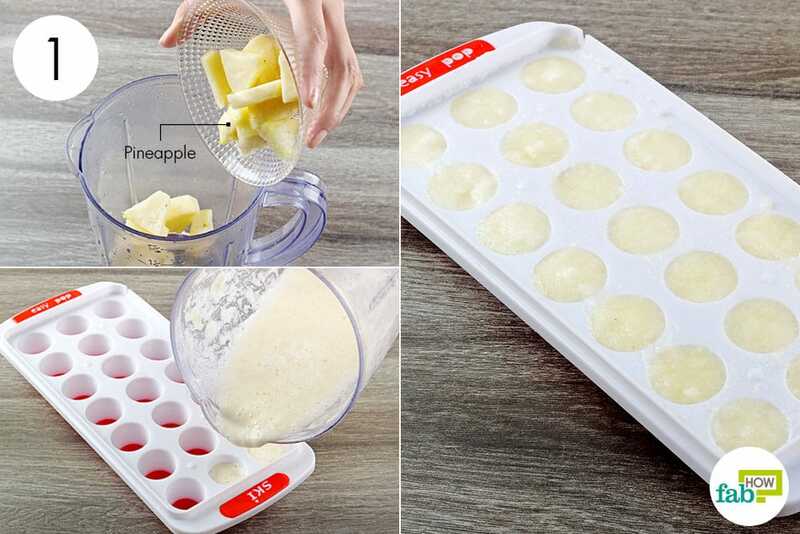 Put 1 cup of sliced pineapple in a food processor and blend it into a puree. Transfer it to an ice cube tray. Once frozen, remove the tasty pineapple cubes from the ice tray and add them to a glass of chilled water. 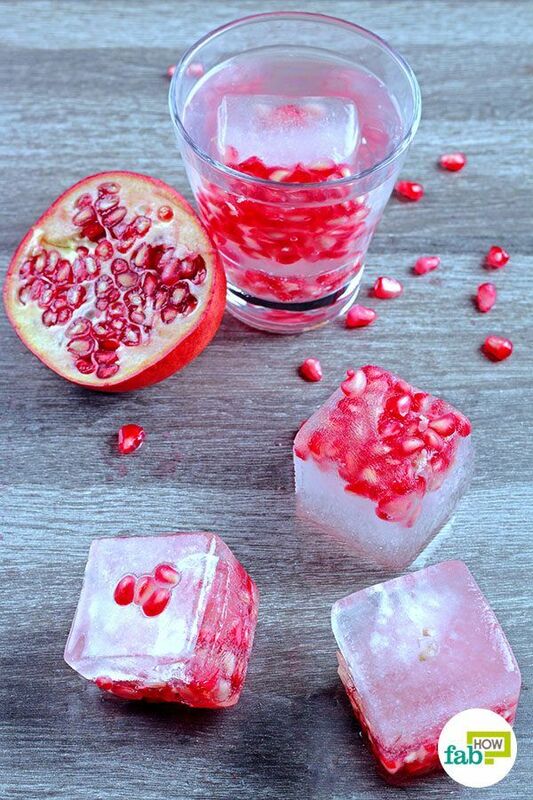 Including pomegranate in your diet has many perks. 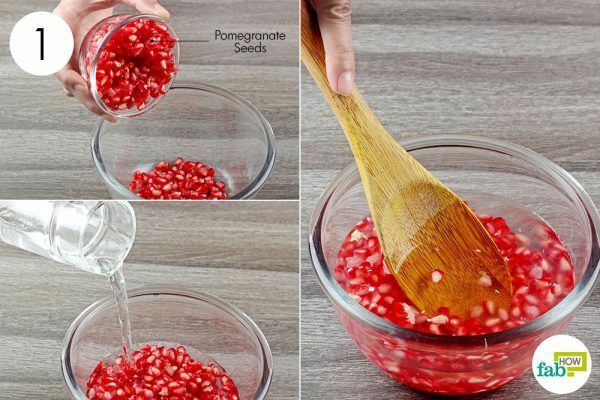 Put 1 cup of pomegranate seeds in a big bowl and add 1 quart of water to the seeds. Press the seeds with a wooden spoon to release the flavor into the water. Evenly pour the water as well as the pomegranate seeds into an ice cube tray. 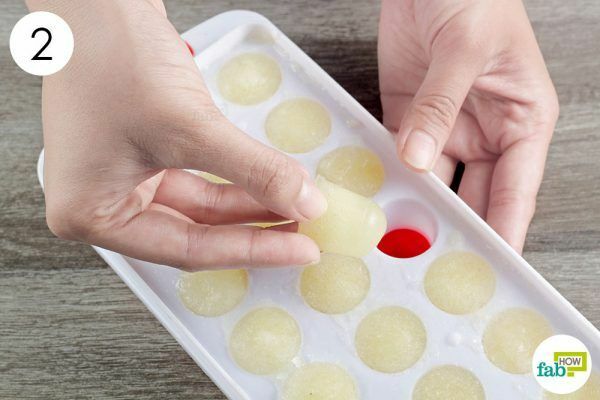 Once frozen, remove the cubes from the tray and add a few to a glass of chilled water. Johnston CS, Corte C, Swan PD. Marginal vitamin C status is associated with reduced fat oxidation during submaximal exercise in young adults. Nutrition & Metabolism. https://www.ncbi.nlm.nih.gov/pubmed/16945143. Published August 31, 2006. Roxas M. The role of enzyme supplementation in digestive disorders. Alternative Medicine Review. https://www.ncbi.nlm.nih.gov/pubmed/19152478. Published December 2008. Kasai K, Yoshimura M, Koga T, Arii M, Kawasaki S. Effects of oral administration of ellagic acid-rich pomegranate extract on ultraviolet-induced pigmentation in the human skin. Journal of Nutritional Science & Vitaminology. https://www.ncbi.nlm.nih.gov/pubmed/17190110. Published October 2006. Asgary S, Keshvari M, Sahebkar A, Sarrafzadegan N. Pomegranate Consumption and Blood Pressure: A Review. Current Pharmaceutical Design. https://www.ncbi.nlm.nih.gov/pubmed/27748197. Published 2017.